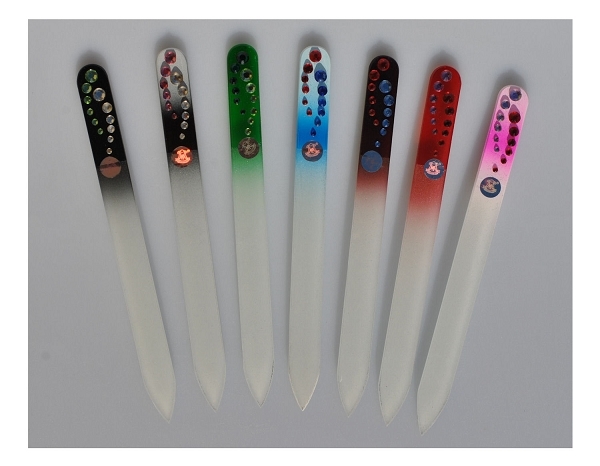 Soft glass nail file with handle elaborated in different colors and spangled with crystal-glass shiny stones. Comes with black soft velvet cover. Original authentic souvenir from Prague which you will be taking with you in your purse wherever you go. 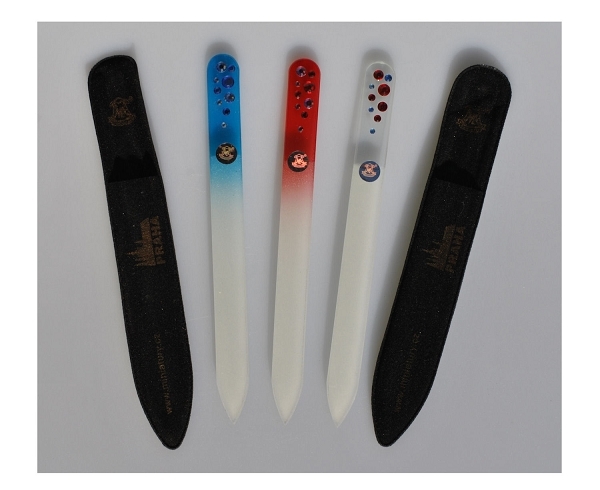 Made of high quality Czech crystal glass.